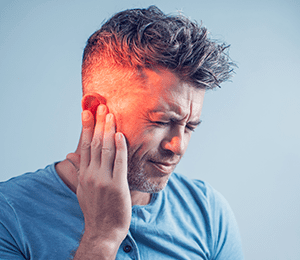 If you’re bothered by a roaring, ringing, clicking, or hissing sound in your ears, you may have a condition called tinnitus (TIN-ni-tus or tin-NYE-tus). At Community Audiology Services in Silver Spring, Maryland, Dr. Patricia Randolph offers innovative solutions for symptoms associated with many types of hearing loss, including tinnitus. To learn more about tinnitus, call Community Audiology Services or schedule an appointment online today. Tinnitus is a condition characterized by constant roaring, hissing, clicking, or buzzing noises in the ear that don’t originate in one’s surroundings. These sounds can be continuous, intermittent, or keep time with a person’s breathing or heartbeat. In some cases, symptoms can be so severe that they interfere with daily activities such as hearing, working, and/or sleeping. Approximately 25 million Americans have experienced tinnitus. Though it is a common symptom of many forms of hearing loss, it can also indicate other health problems. In many instances there is no cure for tinnitus. However, when medical intervention is not an option, Dr. Randolph offers possible solutions designed to provide some degree of relief. When tinnitus is due to hearing loss, hearing aids can provide partial or complete relief. These devices cannot only improve hearing, they may also work to minimize the awareness of tinnitus symptoms. Today many tinnitus maskers are incorporated in hearing aid devices. Therefore, a hearing aid can have dual purpose: improve hearing acuity where needed and also minimize the awareness of tinnitus by introducing a masking noise. There are other types of tinnitus maskers that are used to only address tinnitus. In addition to tinnitus treatments, Dr. Randolph might also recommend counseling and relaxation techniques. These approaches can help manage the condition and relieve any stress or emotional problems it may cause. For more information on tinnitus, call Community Audiology Services or schedule an appointment online today.